About - ZYLIA PORTABLE RECORDING STUDIO. MULTI-TRACK MUSIC RECORDING WITH ONE MIC. Our mission is to create technologies and products that set trends in the audio industry through high quality, usability, ease of use and availability for creators both amateurs and professionals. Our team consists of engineers, musicians and scientists who are characterized by creative thinking and a common passion for developing new technologies. We share a common goal: stable growth and creation of high-quality products. ZYLIA develops innovative, world-class recording technologies and turns them into products that improve the lives of musicians and audio creatives. With a passionate and dedicated team of more than 20 experts in music production, audio research, software, business and product development, we craft and deliver products which redefine and revolutionize the way sound and musical performances are recorded and produced. ZYLIA was founded in 2012 by Piotr Szczechowiak (COO) and Tomasz Żernicki (CTO) - both remarkable PhDs with extensive experience in academia and the industry. For the past years we have been fully focused on crafting, prototyping, testing and refining new audio products - all in close collaboration with the music and audio communities around the world. Almost all of our team is somehow connected to music. Whether it’s performing, writing, or producing, we know from personal experience what issues musicians face during recording sessions. The idea for Zylia came directly from our needs. ​We didn’t want to struggle with the recording process. It takes time and expert knowledge to do it properly. If you are a typical musician, you may find that there’s hardly anything creative about it. We came up with an idea to reduce the time you need to spend on recording by using just one special device. With the ZYLIA ZM-1, we gave musicians a unique tool which brings back life to music recording. You can record an entire band, capture ambient scenes, manipulate 3D audio, separate discrete sound sources, and add unique sounds to your final mixes — all with just one microphone. ​With ZYLIA, being creative becomes easy! 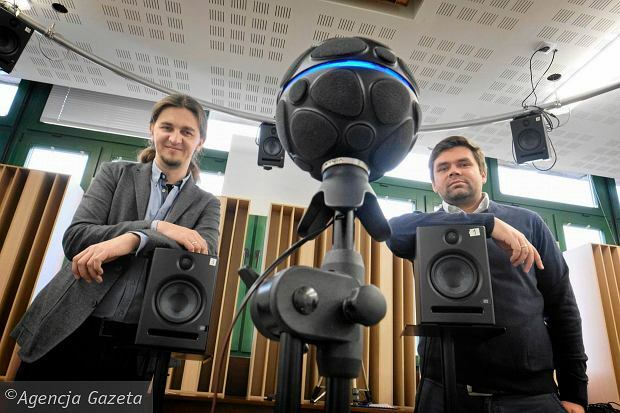 Piotr and Tomasz developed ZYLIA so that musicians and sound recording fans could focus only on making music. Both of them have extensive industry and academic experience, in the past 10 years leading several R&D projects. They successfully managed the team which developed one of the core technologies in the MPEG 3D Audio standard. ​Together, they dreamt about recording music like never before. ​Piotr manages the day-to-day operations of the company. He has a PhD in embedded systems and makes sure that ZYLIA hardware and software fits together. He manages finances and takes care of market testing and customer relations. ​Tomasz is the tech brain of all company-wide operations. He received a PhD in digital audio processing and is an audio expert in the ISO/IEC MPEG standardization group. Without his experience and expertise in audio processing it would not be possible to bring ZYLIA to life. 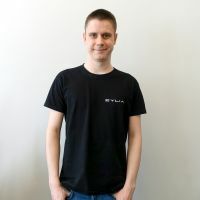 As a software engineer Marcin implements key sound processing components of the ZYLIA system. He tests new algorithms and tries to squeeze out the best out of sound recordings. ​Marzena is a hardware enthusiast and has the best soldering skills in the company. She takes care of parts ordering and assembles all the prototypes of ZYLIA hardware. She is a keen violin player. Tomasz is an experienced developer with knowledge in embedded systems. He is responsible for the architecture of ZYLIA systems. 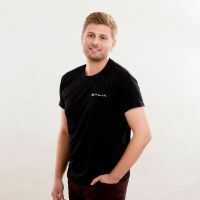 Tobiasz is a software developer interested in different technologies. He supports the development of ZYLIA software and always strives to gain in-depth knowledge of whatever he is working on. Anna is responsible for marketing actions and community interaction through social media. She also runs market tests and applies Design Thinking methods into product development. Wiktor is a software developer. His key areas of interest are signal processing and image recognition. In the company he is responsible for testing and improving algorithms and software. Piotr is a great mechanical designer and new products enthusiast. His help is crucial in development of the ZYLIA design and manufacturing process. Mateusz focuses on checking if Zylia's products work well under any condition and takes care of test documentation. As a sound engineer and musician he understands user's needs well. Zaneta is a sound engineer responsible for testing products and supporting customers. She's a team player, especially when it comes to playing music - she's convinced that magic happens when people make music together. 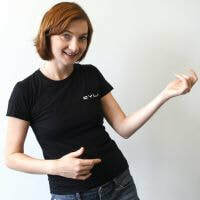 Ewelina is taking care of our media relations, as well as trade shows, conferences and other events. She is also a great enthusiast of the baritone ukulele. Eduardo is a sound designer with experience in music, film and games. He holds a PhD degree from Queen’s University Belfast focused on spatial sound. He is responsible for audio-visual productions, equipment testing and external creative efforts. Tomasz is a software developer interested in technology and science (especially Physics). In our company he is responsible for implementing and developing algorithms. He loves playing electric guitar and listening to rock music. Marek ​focuses on checking if Zylia's products work well under any condition and takes care of test documentation. Krzysztof is responsible for sound quality, mixing and mastering of internal audio materials and he ​focuses on checking if Zylia's products work well. Privately, he is a passionate musician and sound technician. Michal is responsible for research and engineering in audio domain. He is a curious and creative person. His interests include product development, signal processing and hardware. Slawek is a software engineer with experience in video processing, embedded systems and drivers development. He is interested in new technologies and gadgets.